Founder of The Resource Foundation & The Institute for Resourceful Intelligence. Author, poet, editor, transformational speaker – Resourceful Entrepreneuer's Guide pub 2011, ‘Secret Garden of the Soul’ collection of poems published 2006, various articles for European CEO magazine 2005–7, book ‘Resourceful Intelligence’ to be published 2013, articles published in various professional journals, presenter at international conferences, plus many articles and interviews in ReSource. Interviewed and co-written with leading figures from a variety of fields – e.g. Edward de Bono, HH The Dalai Lama, Ron Dennis , Ricardo Semler, Bill Clinton, Malcolm Gladwell, Dan Pink, RenéCarayol, Paulo Coelho, Don Tapscott, Rupert Sheldrake, Baroness Susan Greenfield, Nobel Laureate Muhammad Yunus, Allan Leighton, Lord Andrew Mawson, Dr Deepak Chopra, Tony Buzan, Sir Digby Jones, Marcus Buckingham, Sir John Whitmore. 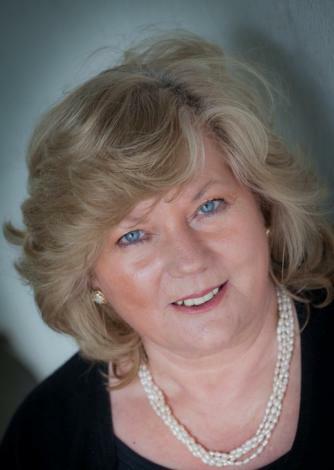 Business Success & Leadership Consultant & Mentor – 25 years' experience as director of a family-owned consultancy, coupled with senior roles in marketing and research for major multi-nationals, ranging from the motor trade and telecoms to textiles and packaging, have given Christine both breadth and depth in her knowledge of many areas of business. Her experience enables her to quickly adapt to and understand different environments and issues, and she is known for her ethical approach, her empathy, her stimulating and thought provoking method of questioning, and for her ability to put people at ease so they are at their best. She also acts as a consultant to authors and businesses for writing, marketing, leadership development and strategic guidance. Featured in the book ‘Economist Guide to Coaching & Mentoring’ (published Sept 2009) for her work with children and young people. Unbiased perspective, analytical mind set – possibility focused ‘agent provocateur’ stimulating creative solutions through future-focused inquiry. Highly knowledgeable about the latest ideas, theories and practice on global issues, the latest thinking in organisational change and development gained from research, consultation and interview with leaders.